Ceramic Window Film: What Is All The Hype About? Many people are aware of window tinting and different types of films that can be placed on the windows of cars, buildings, homes, and boats. 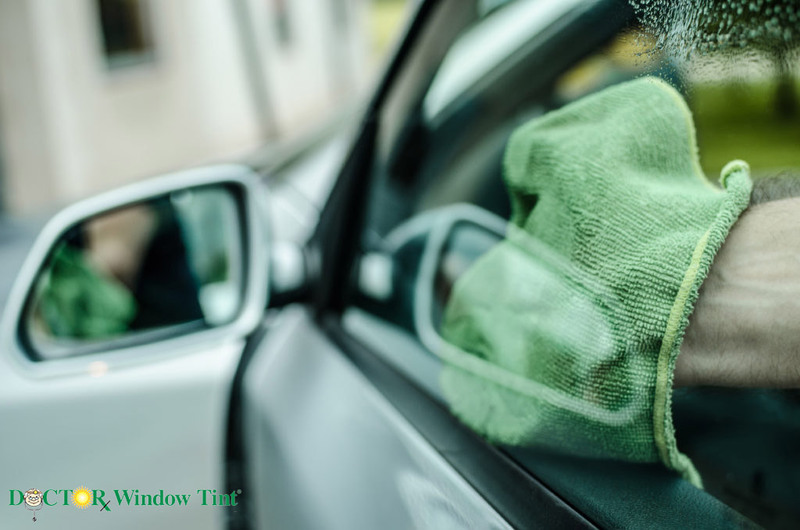 The most common materials used to tint or film windows that people are familiar with include polyesters, dyes and metal. However, an increasingly popular option that is being used more and more is ceramic window film. You might ask “How is this possible? “since ceramics are used to make completely opaque objects, like ceramic artwork, electrical conductors and optics, but this new technology has proven to be the highest quality of window film. What Is Ceramic Window Film? Solar Control®’s Ceramic window film is a type of tinting film that can be applied to any kind of window. Unlike other films, it is not made of metal, nor is the film dyed to be a darker shade. This means that this film is both non-metal and does not conduct. Instead, the film is imbued with small, ceramic-based nanoparticles. Since these particles are so small, they are actually not visible to the naked eye. As a result, you have a window film that is completely clear, allowing a greater level of visibility both during the day and the night. It is tougher and more durable. While the benefits are similar to the benefits of conventional film, there are added benefits that come with the installation of ceramic window film. Because other types of film tend to have their color fade over time, they look less appealing with long-term wear. This is eliminated with ceramic window film. Infrared light is a type of wavelength that’s part of the everyday spectrum of waves that we are bombarded with on a daily basis. This type of electromagnetic radiations is not visible to the naked eye, but is perceived by human as is the ray that causes the feeling of heat. Ceramic window film blocks up to 90% of the infrared rays that penetrate windows. This causes a reduction in solar heat, leaving the interior feeling cooler. Ceramic window film blocks approximately 99% of the UV rays that penetrate windows. UV rays are light rays that are harmful to the skin and can contribute to wrinkling, sun damage and the development of skin cancer. This is one the most important health benefits of ceramic film. Many metal-based films interfere with the functioning of electronic devices such as GPS systems, cellphones and radios by blocking or disrupting the radio and electronic waves that help these devices to function. Because ceramic film is completely metal-free, is allows for the maximal efficacy of the functioning of electronic devices. Because of the technology by which ceramic film is made, there is a massive reduction in the amount of reflection and glare caused by this film. The science behind it is the ability of the ceramic particles to absorb light rays, preventing penetration and reducing glare. This type of film is shatter-proof, meaning that in the event of an accident or damage to the window, the glass shards will break but remain fixed in place, making this a safer option to the available alternatives. Ceramic films can be used on any kind of window, for example, car windows, residential windows or commercial business windows. Solar Control®’s Ceramic window film should be used when you are seeking a durable, reliable and effective window film that will provide extra heat and UV ray protection. Contact us at Dr Window Tint, the exclusive installers of Solar Control® brand window tinting film, for a quote on how we can install the finest window film on your windows.